Tony Nicasio was born in Imperial, California on June 22, 1947. He passed away in Fresno on March 13, 2019 at the age of 71. 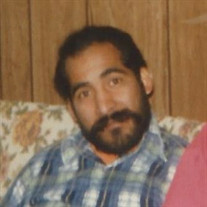 The family of Tony Nicasio created this Life Tributes page to make it easy to share your memories. Send flowers to the Nicasio's family.